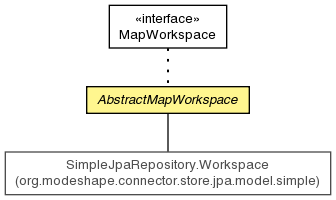 A default implementation of MapWorkspace that only requires the user to implement some simple, map-like operations. Adds the given node to the backing map, replacing any node already in the backing map with the same UUID. Creates an empty node with the given UUID. Get the repository that owns this workspace. Returns all of the UUIDs in the branch rooted at node. Moves the branch rooted at the given node to the new workspace, removing it from this workspace. Removes the given node and its children, correcting the SNS and child indices for its parent. This method does not add the new map node to the map. That must be done with a separate call to addNodeToMap(MapNode). Removes the given node and its children, correcting the SNS and child indices for its parent. This method will return false if the given node does not exist in this workspace. Moves the branch rooted at the given node to the new workspace, removing it from this workspace. If a node with any of the UUIDs in the branch already exists in the new workspace, it will be replaced by the node from the branch. Returns all of the UUIDs in the branch rooted at node. The UUID of node will be included in the set of returned UUIDs.